One paise, which is one hundredth of an Indian rupee, used to be the lowest-value coin in circulation in India. The paise was discontinued about two decades ago, after the Indian currency had begun to lose its value . Today, one-paise coins are neither in circulation nor can they be used to buy anything. Beggars also won’t accept such coins. Nevertheless, two businesses in India continue to offer services at price points that start at one paise, though both – Telecom and Equity Brokering – are on the brink of disaster. Per-minute call charges and per-trade brokerage charges are sometime as low as one paise. This unviable and uneconomical revenue recovery has brought both of these sectors to the verge of collapse. But while the current situation was challenging, the massive under-penetration offered enticing prospects. Destimoney’s own assessment suggested that there was an opportunity to target appropriate niches and build a sustainable business, block-by-block, in the financial services space. This article will describe how we did it. In January 2011, after taking charge of Destimoney, which provided equity brokering services to its clients, we started exploring multiple options to make the business more viable and sustainable. We knew that there were formidable challenges, but at the same time we saw opportunities that were not being exploited. The capital markets were in the midst of an unprecedented downturn and volumes were fast shrinking. As well, retail investors had deserted the market. Global markets, with the looming crisis in Europe and the uncertain financial environment in the United States, were not helping in any manner. 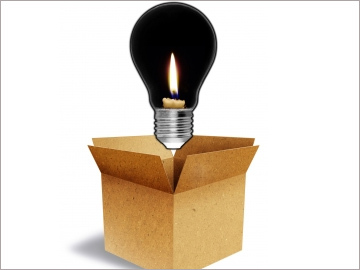 With the abysmally low brokerage income, it was obvious that we would have to think outside the box to survive. We considered our options and arrived at a few conclusions. Destimoney, which was predominantly funded by private equity, had limited access to additional funding. Thus, we had to keep our costs under control. At the same time, we had to grow the business if we were to survive. Market conditions and volatility had driven away retail and risk-averse investors and we had to, by default, focus on High Net Worth Individuals (HNI) and traders. Delivery volumes in markets were coming down and even in the derivative space, only the low yielding “option segment” was showing worthwhile growth. Rather than build our own distribution network, a costly and time-consuming proposition in a country with such a widely dispersed population, we made a conscious call to create a pan-India, large franchise network. The advantage was multifold. Franchisees joined us as partners without any incremental cost to ourselves. They would bring in their clients while we would provide our infrastructure to execute trades. We would share the income, something that helped us scale up the business in a cost-effective manner. We also used our infrastructure to earn incremental income and expand the business without incremental cost or risk to Destimoney. Franchisees, who were self motivated, brought in HNI clients and traders, which maximized their revenue and in turn facilitated our growth. Our business model was also a reason for our success. Apart from the fact that it is a large country, India is also a country with multiple languages and cultures. Almost every one of the 28 states and 6 territories has a different language and culture. To reach out to such a diversified potential customer base required local knowledge and language skills. While such a requirement can be met by hiring people from across the country and setting up branches, such a strategy is time consuming and fraught with the risk of failure. Instead, we took an efficient, cost effective route by opting for a franchisee model with a hub-and-spoke set up. Our branches, which are at strategic locations, work as a hub, and franchisee locations, spread across the country, are the spokes. On the product side, we completely focused on bringing out option strategies based on the risk appetite of clients and market conditions. Parameters identified by commonly used letters of the Greek alphabet (widely used by the industry) were employed to optimize returns for clients. While large institutions and their large traders were also using these tools, we were probably the first company in the Indian market to take these strategies to clients in a big way. These strategies and parameters were given to our franchisees to facilitate their clients’ trades. A dedicated derivative trade desk was set up to centralize clients’ trades. A major decision was our call to not acquire retail clients, at least in a big way. Markets were volatile and uncertain, and retail clients were extremely weary. Our focus remained on HNI. Thus, apart from franchise expansion, (the number of franchises went up from 68 in January 2011 to 1356 in September 2012), our focus remained on HNI client acquisition through our unique option strategies. This focus on options helped us gain market share significantly. Over the last 18 months, our market share in overall equity trading went up from 7 basis points in January 2011 to around 88 basis points in September 2012. Most importantly, we were able to make in-roads with large HNI clients, whom we would not have otherwise been able to reach. While equity markets everywhere were in turmoil, commodity markets were on a general upswing. We spotted this trend back in January 2011 and started to acquire commodity brokering licenses. By the middle of 2011, we had several commodity brokering licenses, and over the last one year we built a flourishing commodity brokering business on top of our equity brokering business. While many of our equity brokering customers also dabble in commodities, a small commodity brokering team was set up to acquire other exclusive commodity brokering clients. As a result, we have been able to create a very cost-effective commodity brokering business to a point where our overall market share is now a respectable 75 basis points, this after having started from scratch. This was how, even in a year such as 2011, which was probably the worst for the Indian financial markets, we grew exponentially. Still, this growth required the creation of additional infrastructure and facilities. To manage this cost effectively, we adopted a unique outsourcing model in which all non-core activities were out sourced to leading service providers, probably for the first time in the industry. We, of course, retained responsibility for core services and functions like customer experiences and relationship building, risk management and compliance. This unique model enabled us to piggy back on to the credibility and competence of reputed service providers for peripheral operations (e.g. back office, data processing, technology etc.). While we were putting our house in order in the brokering space, we consciously diversified into the distribution of third-party products. The natural choice was life insurance, which is remunerative and to an extent, synergistic with our distribution reach created by our brokering network. We carefully selected the products we wanted to sell. For obvious reasons, we avoided products that are not customer friendly, such as Unit Linked Insurance, which has a significant entry load. We also set up a separate distribution team for selling insurance. Insurance penetration in India is very low. In spite of being established for many years, the insurance industry has only a five- percent penetration rate in the car and life segments. However, there is significant competition for insurance in the major cities and towns. We consciously focused on tier 2, 3 and 4 towns, mainly to avoid intense competition. Our insurance distribution unit was profitable from the very beginning and it continues to support our other endeavours. Since we were already dealing with HNI customers in both our brokering and insurance distribution units, we launched a small wealth management business in seven leading cities across the country. While this vertical focused on the two units’ existing customers, it also acquired fresh clients, who were then serviced by the two other units. The journey so far has been satisfactory, with rapid growth in an environment that was not at all conducive to growth. However, the economic environment continues to remain challenging and we are continuously exploring opportunities to build businesses that offer synergies with our existing business lines. Penetration of financial services in our vast country is still very low, and any business model that can cater to the needs of the masses can become successful and our search for the right product and service model to achieve that goal will continue. Growing inflation has led to the erosion in the value of our currency, and savings through bank deposits is clearly losing charm. Even in rural areas, the search is for higher return. This sometime leads people to try sub-optimal strategies and major financial losses, mainly through schemes floated by “fly by night” operators. There is, of course, a lack of knowledge and proper information dissemination regarding available investment avenues. There are also gaps in regulatory oversight. However, as a financial services player, we cannot afford to shrug off our responsibility and blame others. Nor can we wait for the flaws to be rectified or the system to become perfect prior to making our moves. We firmly believe that this vast untapped market offers us a unique opportunity to develop a sustainable business. The early mover needs to struggle a bit, but of course an untapped market also throws up significant opportunity. We believe that insurance plans which combine investment and protection can be ideal for the hard-to-reach rural markets. As a result, we are in the process of expanding our insurance business unit through a hub and spoke model. The objective is to cover the rural and semi-urban parts of the country. The entire initiative will be driven along with the insurance companies to ensure that the same is cost effective and remunerative, even for us. The potential is huge and the trick is to keep the cost down while offering a safe, secured and remunerative product to the customers. We believe that the global uncertainties, coupled with domestic turbulences, will continue for the next few years and that equity may not be the appropriate asset class for retail investors who are not used to capital-market volatility. Thus, we plan to focus on insurance to build a loyal customer base, a base that we will be able to tap when the economic environment becomes more favourable to equity investment.